Bright and fancy lights are often associated with the finer things in life. Mosquitoes are not exempted from this; these pesky tiny little flyers are drawn with UV light which is the perfect reason why Bearan’s Black Mosquito Zapper Lamp will be an irresistible lure that will eventually rid your homes and other spaces from them. It is easy as 1,2, 3 to setup, plug the ABS body into an electrical outlet and it will start attracting the mosquitoes that will be burnt to crisp once getting into contact! No worries as well since we have specially designed a catch tray for ease of disposing the critters and make it easy to clean as well, after all, it works on up to 12,000hours! SUPERB PERFORMANCE: Bearant Black Mosquito Zapper Lamp features a 1Watt UV Lighting with an estimated 12,000hour working hour on a 20 to 30m; coverage! Easily terminate all those pesky dirty mosquitoes in and out of your precious home. It is a guaranteed solution to all your mosquito issues! The ultimate mosquito killer! MULTIPLE MOUNTING CHOICES: Not only are our product guaranteed to work 100% and be easy to setup! It also gives you a wide selection of mounting choices from hanging on your porch using the high-quality ring hanger or just setting in directly on your own personal space and your families tabletop! 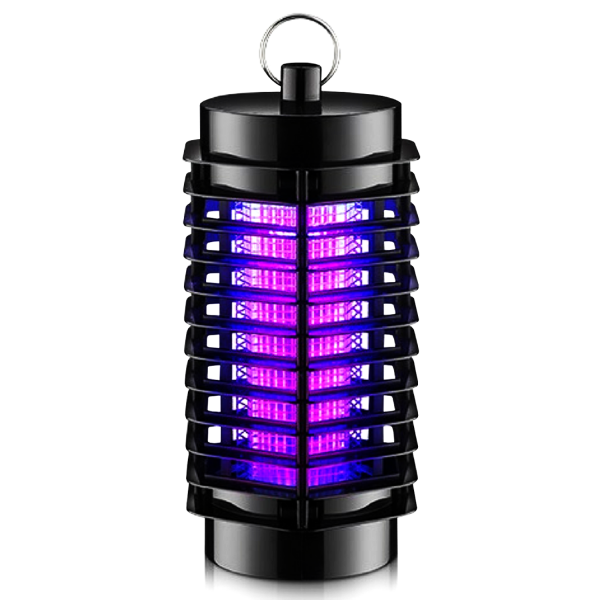 LIGHTWEIGHT AND PORTABLE: Bearant Black Mosquito Zapper Lamp will be your outdoor bug and mosquito zapper! Weighing at only 420g, it is an ideal fix for all the outdoor trips that is threatened by those blood-sucking mosquitoes! DO AWAY WITH ALL THE CHARGING: Packaged with a 110-120v outlet plug, the Bearant Black Mosquito Zapper Lamp will start working on the spot with no delays! There is no need to wait for it to charge each time you need to use it. The whole family can stop worrying about issues created by a defective battery or charger. Just plug it and it’ll do the rest for you!